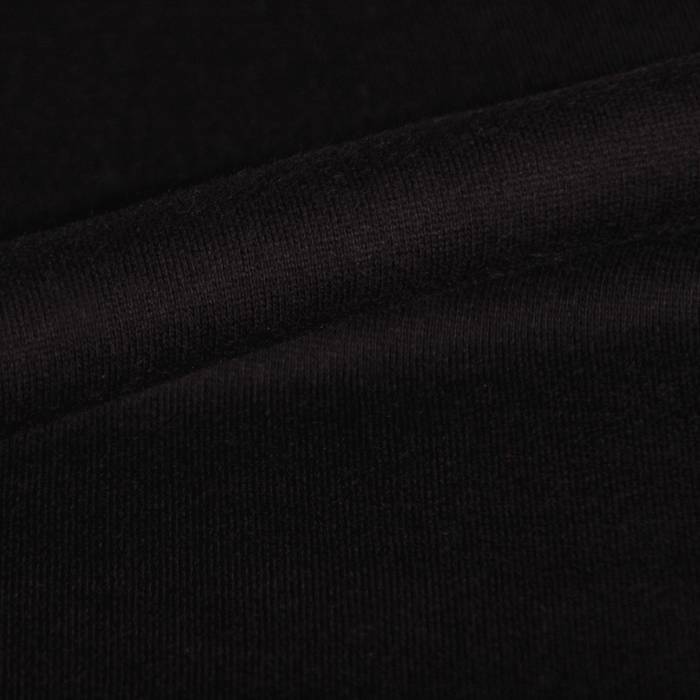 Beautiful black organic cotton sweater fabric, by Bo Weevil. 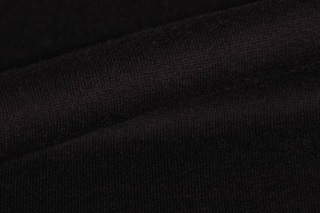 Great cotton sweater fabric, the knitted fabric is very supple and soft. 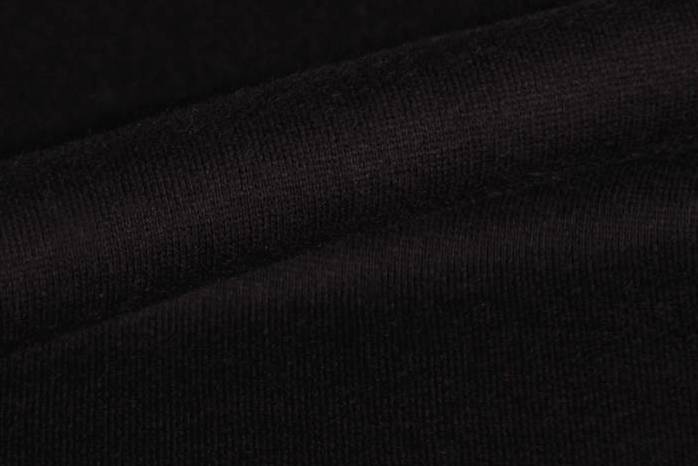 The backside of the fabric is brushed, which gives it a very warm and soft touch. Combines well with a large range of fabrics.